Using Qlik, DynCorp International gains perspective of its data. As a company that operates close to 100 different contracts simultaneously, DynCorp International (DI) is always on the move. A global services provider for the military, government, and commercial markets, DI maintains a healthy 13,000+ employees in 35 countries (spread out across almost every continent). Much of their work is tied to aviation and general logistics, whether that involves military missions or putting out forest fires. Given all of these variables, the analytics narrative essentially writes itself. In 2013, there was a shift to a centralized supply chain organization within DI, but there was limited visibility into global performance. Ultimately, DI’s Supply Chain leadership knew what the organization needed: a global view of the supply chain that produced a single source of truth. That single source would allow the organization to understand the issues at hand holistically and allow them to begin instituting changes. This was where Momsen decided DI needed Qlik: an analytics platform he could champion for near real-time visibility into performance metrics. 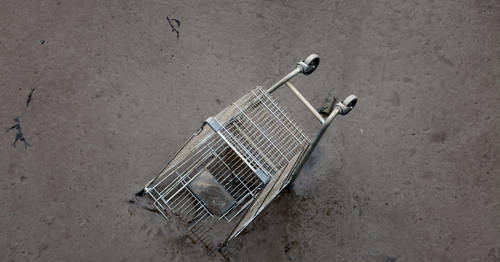 A key factor to the success of DI’s supply chain would be improved visibility on all fronts. This lead to a solution tantamount to the movie Minority Report. DI installed an 80-inch touchscreen television where everyone from the interns to the vice presidents and C-level colleagues could access and analyze the performance of the supply chain. DI achieved better transparency of performance levels, and after some fine tuning of the data, gained a much greater understanding of the challenge before them. 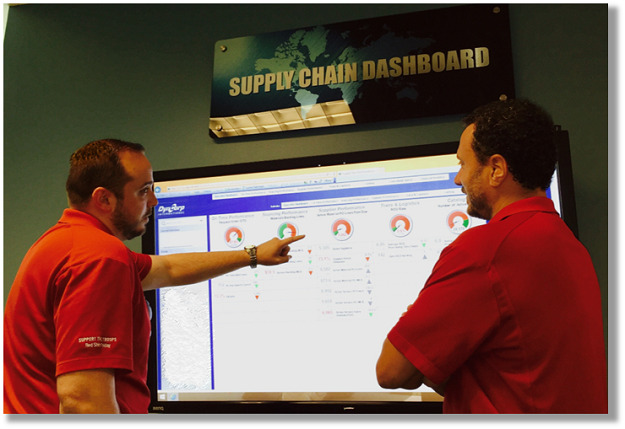 Visibility into your #supplychain data can be a beautiful thing: especially on an 80 inch TV! The new Qlik dashboard enabled the organization to consolidate data from disparate systems, and help assign error resolution activities to the relevant employees worldwide. Additionally, employees from multiple business units were able to use the dashboard and filter based on relevant criteria – regardless of where they were in the world or what their title was. The benefits took shape quickly. Next on the agenda: improving spend analytics. 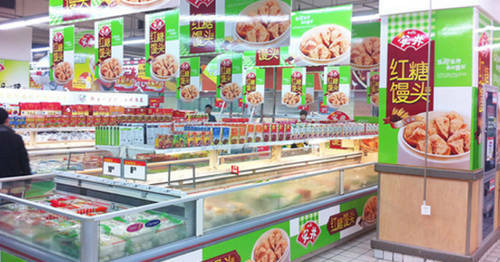 “With Qlik we were able to consolidate our spend data from multiple business units and systems. We created metrics with relevant details which gave us significantly improved visibility to where we were spending our money. Our employees became enabled to see spend by virtually any dimension (supplier, business unit, site, commodity type, and even by small business classification). Even if the data in the source system couldn’t provide good spend classification, QlikView could create new associations, and learn over time. Now we’re smarter about how we negotiate deals,” said Momsen. Want to hear more about Bill’s story directly from him? 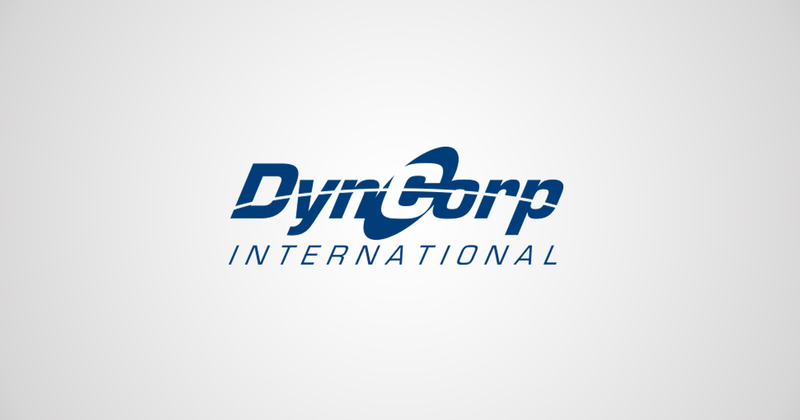 Check out this on-demand webcast to learn more about DynCorp International. You can also hear Bill’s story in-person on Wednesday May 18 at 12:00 PM MT at the Grand Sonoran G during the Gartner Supply Chain Executive Conference. Want to meet Qlik’s supply chain solutions experts in person? We will be at Booth 107, stop by and say hello!